It is our mission to Glorify God by building relationships with people in need in order to help them improve physically, emotionally and spiritually. 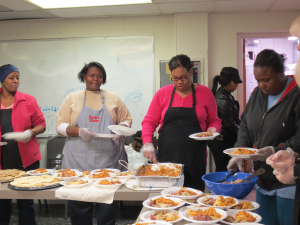 Serving the poor of downtown Indianapolis in the same location, at the same time since 1987, Metro Baptist Center has “standardized the process of helping a person”. Though an extremely small organization, Metro’s Baptist affiliation and long-term partnership with local churches and church organizations have enabled it to consistently serve for 29 years through its partners’; volunteers, program facilitation, and donations. Though Metro is a small organization, Polak being the only full-timer besides two part-time staff, Polak attributes its success to its consistency and longevity. One key way that Metro has achieved these successes is through the consistent support of affiliated church communities and organizations. 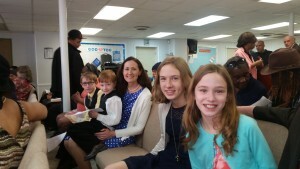 The Baptist organizations with which Metro is affiliated—as well as its tight connection to Cornerstone Christian Fellowship—is intrinsic to the strength and variety of Metro’s services. Through working in cooperation with Crossroads Baptist Association, State Convention of Baptist in Indiana and the Southern Baptist Convention, Metro is supported by sixty churches that donate their time through volunteers (between 50 and 75 volunteers in a typical month and as many as 300 for special events), their money, as well as facilitation of support groups and programs. Metro benefits from this network of spiritual communities that provide manpower and resources for the individuals using Metro’s services to take steps towards longer-lasting recovery. For example, the Nehemiah House is an Eastside home that was refurbished through Cornerstone Christian Fellowship and other volunteers as a halfway home for women just leaving prison; though not a Metro-specific program, it is a resource available to which Polak and others at Metro can refer individuals looking for help. lives transformed, and yet Metro has not yet figured out how to communicate in ways that will encourage and inspire. For this reason, Metro’s rich database of the needy in Marion County has yet to be distributed as widely as Polak would like. However, the database serves and enhances Metro’s mission to be consistent and available for the people coming through its doors.